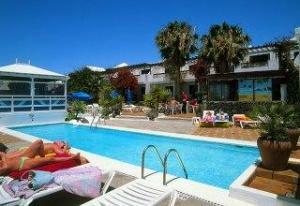 Address: Finlandia, 18, Puerto del Carmen (Lanzarote), Islas Canarias. Please inform Los Tulipanes in advance of your expected arrival time. You can use the Special Requests box when booking, or contact the property directly with the contact details provided in your confirmation. Guests arriving outside reception opening hours are kindly requested to inform the hotel in advance. Contact details can be found on the booking confirmation.